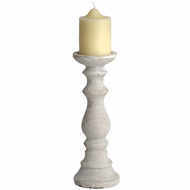 This sturdy, single candleholder has a stone-effect finish and a soft, elegant aesthetic. 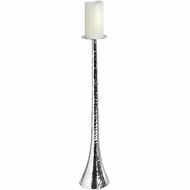 With its repeated, irregular curves and slender body, the candleholder has a distinctive look. 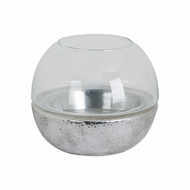 Functional on its own, you can also buy a set to place on your sideboard or a table top. 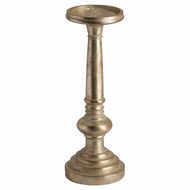 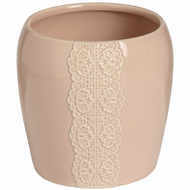 The candleholder has a relatively broad base and flat top, holding a single broad base candle.